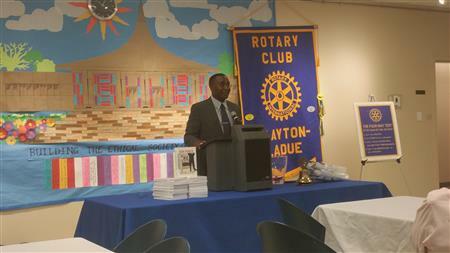 Coach John Parker provided our club with a memorable, captivating presentation of his story on July 27th. With humor, candor and seriousness, John detailed life as a poor kid in Ferguson, MO that took him all the way to the NFL and back to his community. 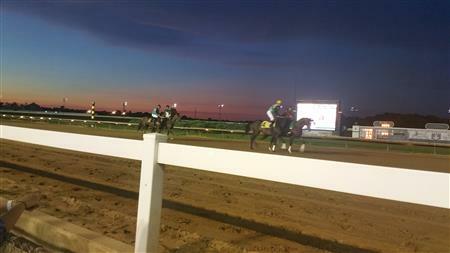 Clayton-Ladue members enjoyed a different kind of make-up meeting on Friday, July 8th at Fairmount Park. Immediate Past President, Jack Dudek, arranged for our club to sponsor three races and visit with the winning horse, jockey and owners in the victory circle. A good time was had by all watching from the skyboxes and the sidelines. Assistant District 6060 Governor elect Jim Durbin presents Immediate Past President Terry Baer and Rotary Foundation Chair Sandy MacLean with the coveted Century Club award. 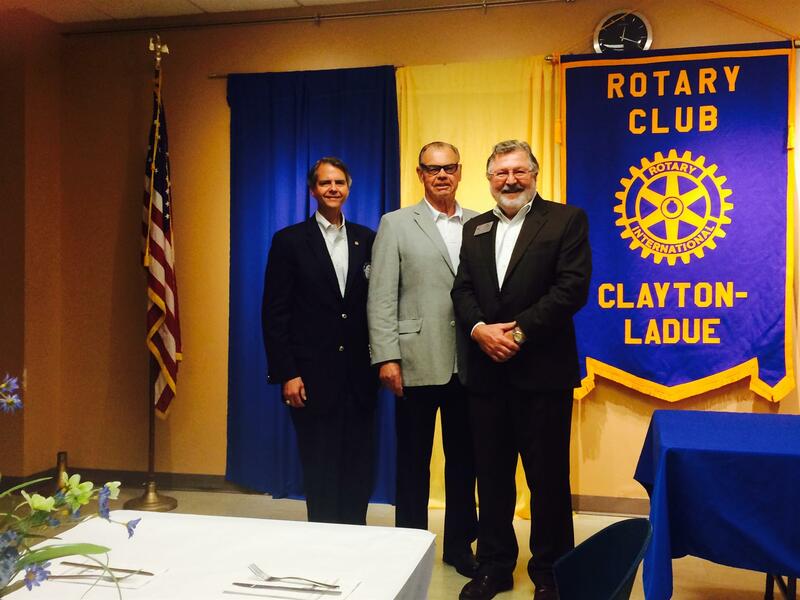 The Rotary Club of Clayton Ladue has consistently been recognized with this honor over the past decade. 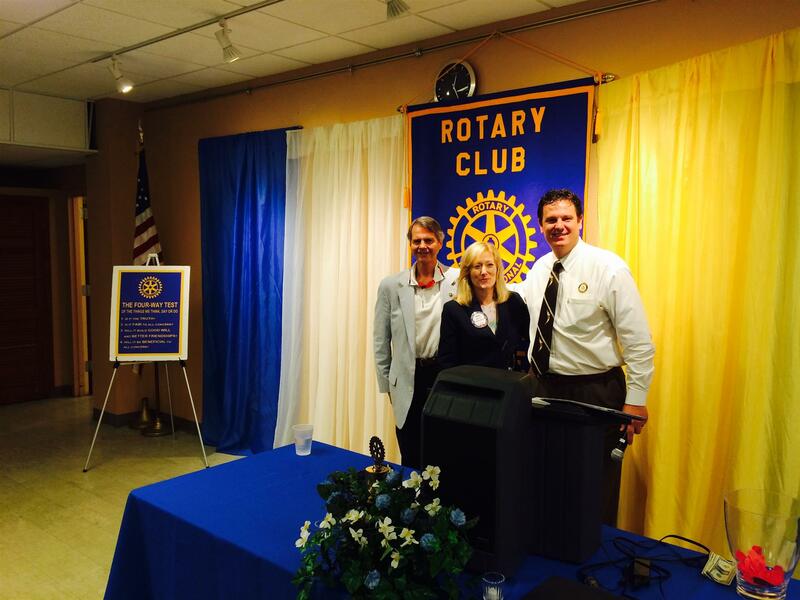 President Jack Dudek and IPP Terry Baer formally welcome Mary Ems as the newest member of our club. A big thank you to everyone who joined us Wednesday, January 21st at the Westport Sheraton Chalet for a one-of-a-kind lunch to support former St. Louis Cardinal Kyle McClellan's Brace for Impact 46 and the Rotary Club of Clayton-Ladue. Special thanks to former Cardinals Manager and Hall of Fame inductee, Whitey Herzog, former Blues defenseman and current front office man Bobby Plager, NFL Super Bowl Champ and former Ram Grant Williams, and long-time St. Louis Post-Dispatch columnist Bernie Miklasz. The panel discussion on St. Louis sports was informative, entertaining and thought-provoking. Our gratitude again to KSDK's Newschannel 5's Rene Knott for his energy and enthusiasm as our moderator. Our club returned to John Burroughs High School again to participate in the St. Louis World Food Day program. 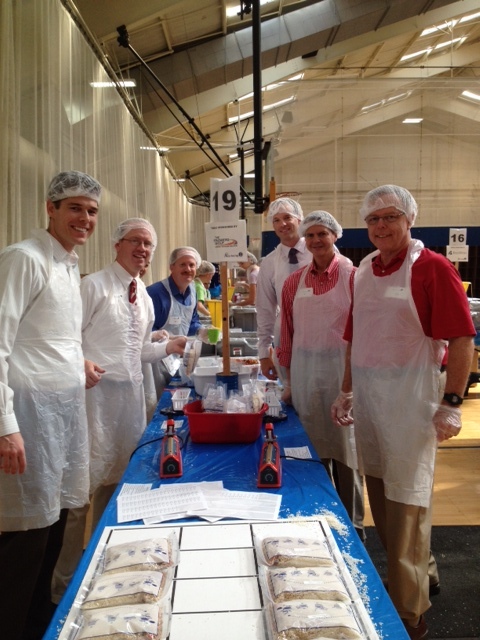 Members including President Terry Baer, Sergeant At Arms Marshall Galliers, Immediate Past President Travis Liebig, Larry Levy, Andy Crossett, Yao Shi and Tim Durbin took part in scooping, bagging, weighing and sealing part of 26,000 meals for delivery to needy recipients in St. Louis and Tanzania, Africa. 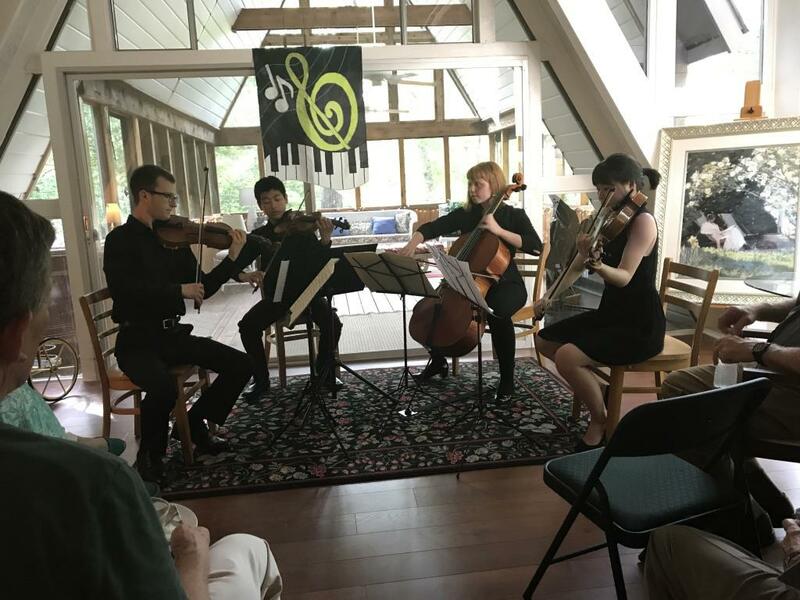 The Rotary Club of Clayton-Ladue is proud to celebrate the accomplishments of Madeleine M. Chilton, who recently completed her outbound foreign exchange program in Germany. We wish to thank her and her family for the interest and support, as well as those in our club and District 6060 who helped make this possible. Madeleine represented all of us extremely well by completing this once in a lifetime experience. 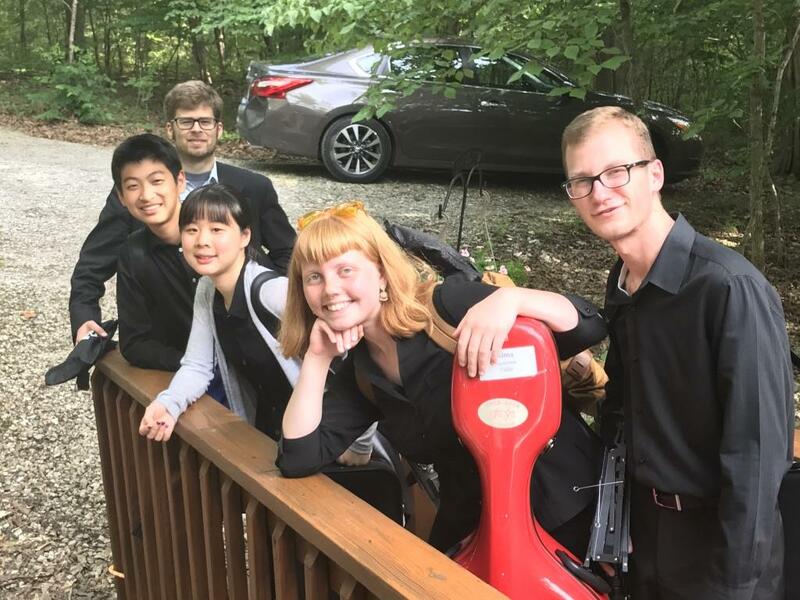 Madeleine will be studying at American University this fall, and will be pursuing a certificate in German translation in addition to her other degrees. Congratulations! To view her Certificate of Achievement, click on the Article link and view in the Page Download Files. Thank you to everyone who purchased tickets for their support! We look forward to giving back to this generous community from our proceeds, and to the National Blues Museum. Bill DeWitt III updates our club on the latest with Ballpark Village, the 2014 season and the overall health of the franchise. Please join the Clayton-Ladue Rotary in supporting The National Blues Museum and enter to win a custom-restored 1965 Ford Mustang convertible. Only 1,000 tickets will be sold, with a 2nd prize of $1,000 cash or 3rd prize of a catered BBQ for up to 40 people. Visit https://blues.raffleready.com/drivin-for-the-blues for complete details. For more pictures of this restored beauty, scroll your mouse to the right and look under Photo Albums. 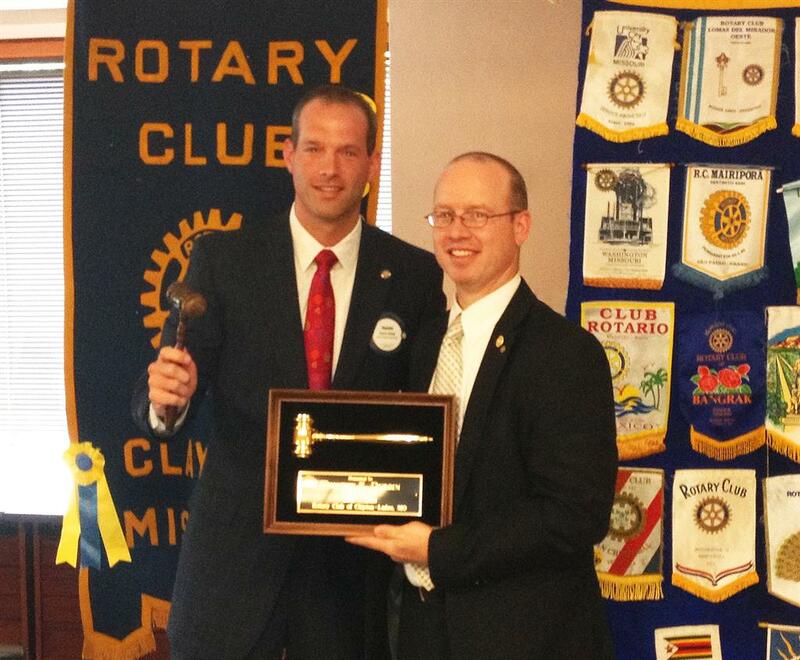 President Travis Liebig welcomes two more new members to our club at our last lunch of 2013 on December 18th. 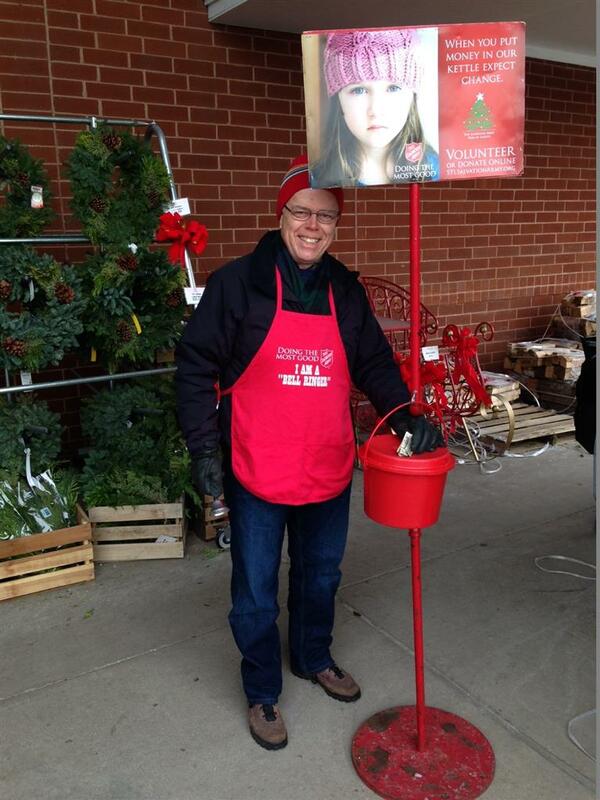 Several brave Rotarians fought off the rain, wind and cold on Friday, December 13th at the Ladue Crossing Schnucks to benefit the Maplewood Salvation Army. Pictured below Marshall Galliers. Pictures from the Deer Creek Club Holiday Party. 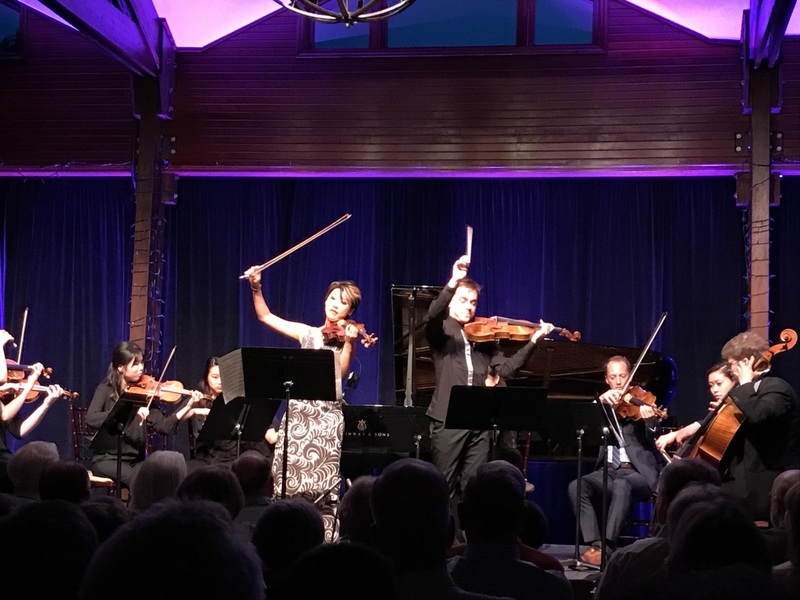 Great job again, Jeannine! 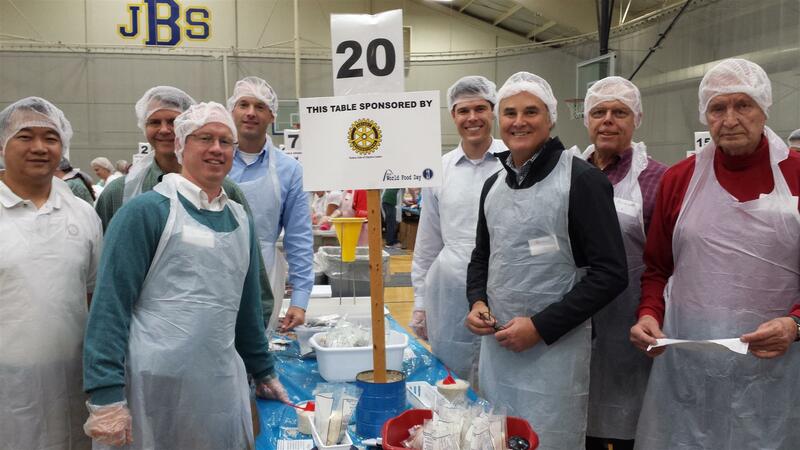 A small but determined group of Rotarians led by our President, Travis Liebig, gathered at John Burroughs School October 11th to package meals as a part of St. Louis World Food Day. Backed by a generous donation from our Charitable Giving committee, our club not only made a financial impact to the outcome of the event, but also were able to get our "hands on" in the process. All told, the event spearheaded by a JBS senior resulted in over 300,000 meals to be sent to famine-affected areas of Africa. Installation Luncheon 6/26/2013 - Incoming President Travis Liebig and outgoing President Tim Durbin exchange gavels after Travis is sworn in by District 6060 Representative Stacey Self. Photo by Scott Dieckgraefe. Stacey Self, DG Tim Cudd and guest speaker Ed Futa present the latest major donors to the Foundation with their recognition. I've included a link about one of our Conscious Choice students, Barbara Harris. Clayton/Ladue Rotary gave her monetary assistance a few years ago. Sandy MacLean recently updated our club on the progress of our former ambassadorial scholar Erin Raab. For those who have never seen the photographs of her work in Africa, we are proud to present links to her Facebook page and YouTube video. We hope you enjoy seeing the fruits of her labor. Welcome new member Kim Kann! Jim Lukeman and Dean Tonya Gallagher discuss the Center for Wounded Veterans at the University of Illinois. This pro bono video was produced for Seattle 4 Rotary by ProMotion Arts, a Seattle video production company specializing in corporate communications, commercial production, and non-profit outreach and development. Rotary has 1.2 million members and more than 31,000 clubs in 166 countries. 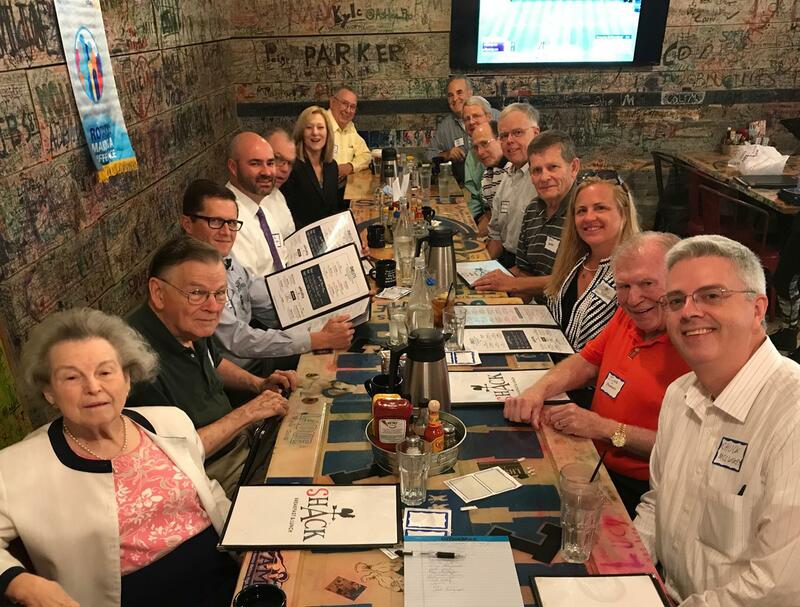 Rotary members meet weekly for fellowship and interesting, informative programs. Rotary clubs are autonomous and determine their own service projects based on local and international needs and the interests and abilities of their members. Rotarians plan and execute various humanitarian, educational and cultural programs. 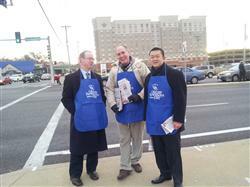 Rotary membership represents a cross-section of local business and professional leaders. The Rotary Club of Clayton Ladue, Missouri accepts membership applications, and invites guests to attend, for those seeking service, charitable, humanitarian, educational and/or business networking opportunities throughout the St. Louis Metropolitan Area, including but not limited to residents of St. Louis County, Saint Louis City, Clayton, Ladue, Frontenac, University City, Webster Groves, Kirkwood, Brentwood, Rock Hill, Maplewood, Creve Coeur and other communities in St. Louis County and St. Charles County, MO. Kevin Demoff, COO of the St. Louis Rams, addresses our club during the pre-season. He told a memorable story regarding the Rams' pursuit of head coach, Jeff Fischer, along with some humorous references to cutting players so they can be future Rotarians. 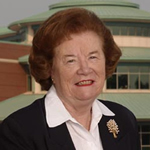 Please join the Rotary Club of Clayton-Ladue as we celebrate and honor the contributions of Blanche Touhill to the St. Louis Community. 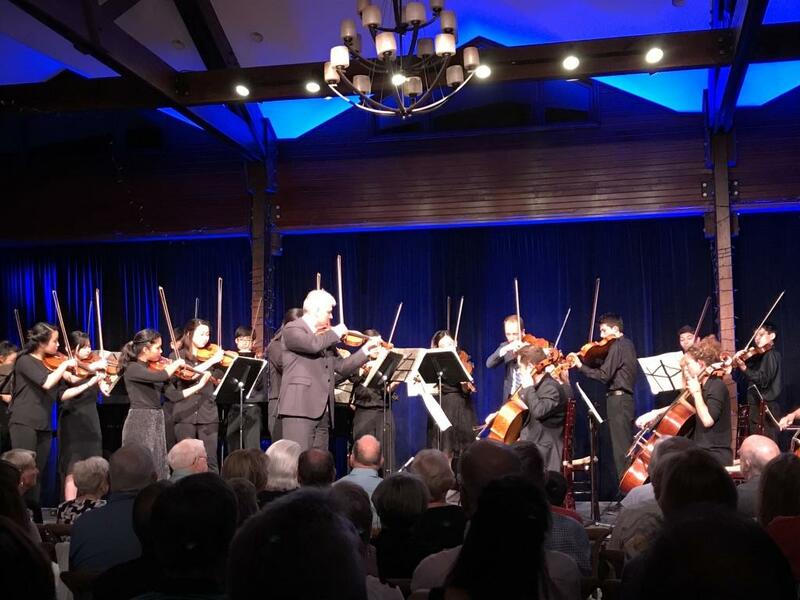 Proceeds from the event will benefit UMSL's Music Department and Rotary Charitable Works. 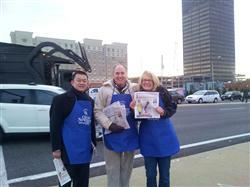 Yao Shi, Curt Ittner, Joan Bradford and Tim Durbin take a quick break for a picture.